The new Circlemod series brings an innovative approach to the cooling systems world because it combines energy efficiency, installation flexibility and attention to detail, even from an aesthetic point of view. The modular design allows to configure up to 8 units with a single group control. Each module has a high cooling capacity (up to 150 kW) compared to the ground footprint. This means that in a limited space you can have remarkable performances. 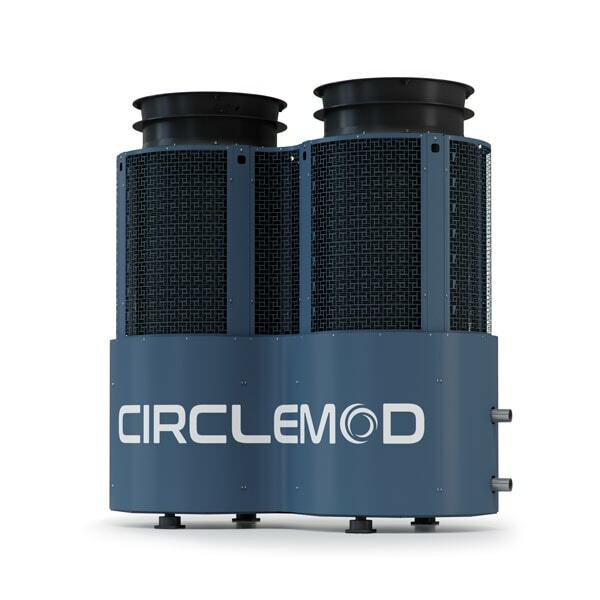 Circlemod features the microchannel cylindrical condensers that Geoclima’s Research and Development division has developed for the Circlemiser series. 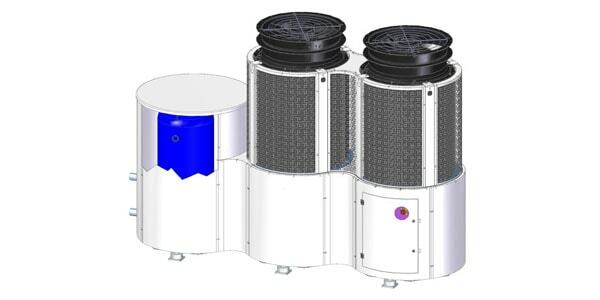 This type of condensers is characterized by a heat exchange surface increased by 45% compared to traditional condensers. 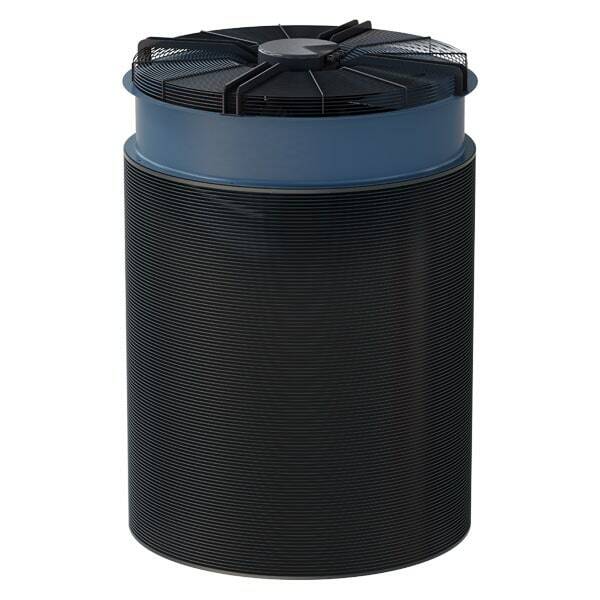 Thanks to this increase in heat exchange capacity, the Circlemod cylindrical condensers are able to reduce condensing temperature as well as approach temperature. 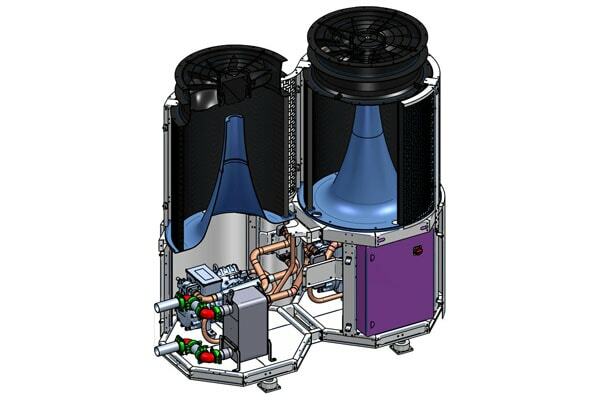 Circlemod features an exclusive technology: a conic air intake flow optimizer able to increase the condenser efficiency by 10%. 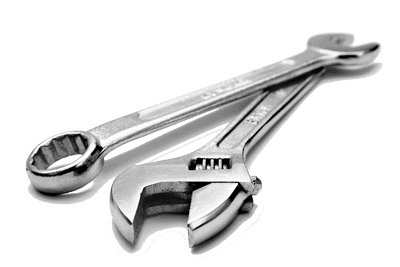 Circlemod is available with a wide range of refrigerants. 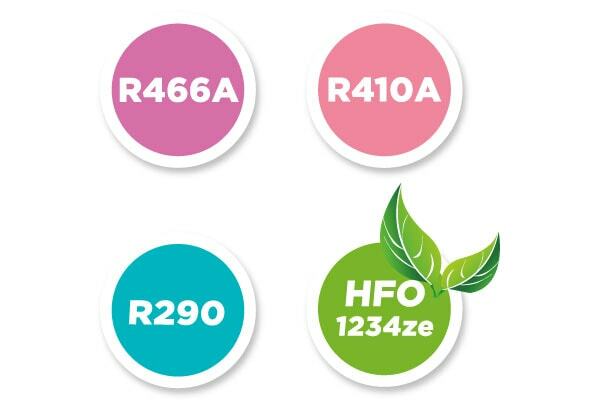 Low GWP refrigerants, such as R290 and HFO1234ze, are available with reciprocating compressors. R290, R410A and R466A (non-flammable) are available with scroll compressors. An additional module with tank and pump is available on request.